Dyro partners up with the brand Razer for the global launch of Razer Music. 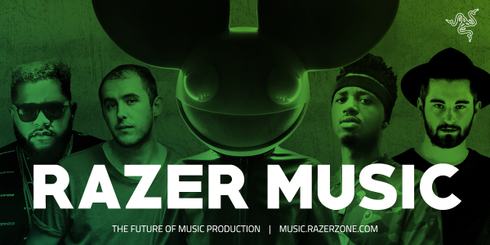 A brand that specialises in connected devices and software for gamers, Razer Music readies itself as a digital content platform for both artists and fans, featuring tutorials and insights on the future of music production. Born out of a desire to merge both gaming and production in one device on the road, the unique Razer Blade laptop has crossed the boundaries of restriction with this launch, also partnering with the music production application, FL Studio, to accommodate every need for artists in both work and play. You can step into the world of Dyro’s DJ career, as the Razer Music portal contains content ranging from exclusive tutorials with the Dutchman, over to dedicated pages on the producer including up-to-the-minute tour dates, bios and more.